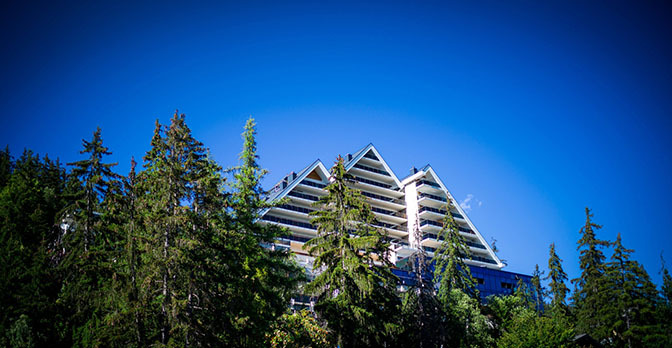 REVOLUTION Switzerland’s team were the first lucky guests to visit the brand new Crans Ambassador Hotel this season with its unique Hublot carnotzet. This luxury five-star hotel, in one of Switzerland’s finest ski resorts, has just finished being renovated after a seven-year closure. Touring the hotel and its extensive sporting facilities, it quickly becomes apparent that it was well worth the wait. Designed by the Canadian/Swiss architect Pierre Gervais, the hotel has a warm contemporary feel using wood and local stone for the walls and floors. Gervais wanted to make nature the hero of the design, rather than the building, so all the spaces look out across the majestic mountain range with large windows that offer a 270-degree view. 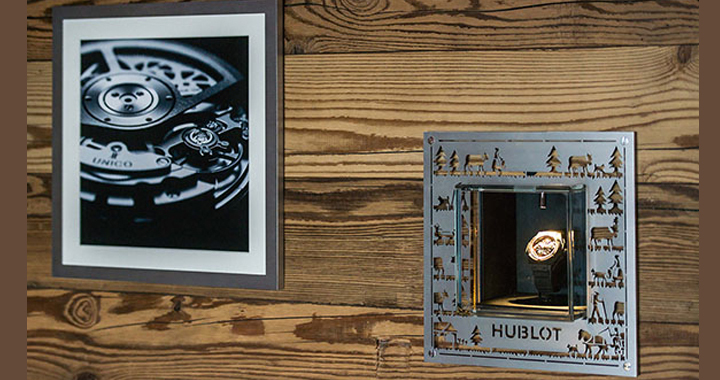 In the restaurant area, the hotel collaborated with Hublot’s President, Jean-Claude Biver, on a unique Hublot carnotzet. A carnotzet is a traditional room in a Swiss house where friends gather to share a cheese fondue or raclette. It is often a small and cozy place, away from the living quarters, to keep the smell of cheese from invading the rest of the house. The Hublot carnotzet takes this often-rustic concept to the heights of luxury. Decorated in wood and adorned with tiny windows featuring Hublot watches embedded in the beams, the atmosphere is relaxed, intimate and stylish. The temptation to sit down and have a glass of white wine and a piece of cheese is quite overwhelming. If you aren’t a cheese fanatic, however, there is also the possibility of picking up a copy of Revolution magazine from the reception area and making the most of the wonderful 1,300 m2 spa and pool area, the largest in the resort.